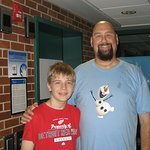 Scott L. Schwartz has been visiting children’s hospitals worldwide for the past 12 years after losing his sister to lung cancer in 1998. After that he realized the value and impact in making a lasting impression on these children with cancer. During Scott’s interaction with the doctors that were treating his sister, they advised him that it is essential that cancer patients spirits be lifted to aid in the treatment of this tragic disease. 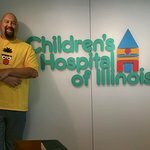 Scott had visited many sick children in hospitals during his Professional Wrestling career, and wants to continue to brighten children’s lives through his Scott L. Schwartz Children’s Foundation. Google trends for "Scott L. Schwartz Children’s Foundation"
We don't have any videos related to Scott L. Schwartz Children’s Foundation.